“It’s A Marshmallow World,” first written in 1949 and recorded by the likes of Bing Crosby and Vic Damone, is “Winter Wonderland” by way of Gravity Fall’s Weirdmaggedon, with lyrics that go right past bluebirds and snowbirds into surrealist territory. The sun is a pumpkin head; the marshmallow clouds are making friends with evergreen trees. The snow itself constitutes a Wonka-esque “whipped cream day.” Listen closely, and it’s unnerving stuff. Maybe that’s why it sounded like Dean Martin upped the ante of his regular cocktails to record his 1966 version, where he slurs even more than usual. Just picture him in the recording booth holding a short glass with brown liquor on the rocks in one hand and a lyric sheet in the other, peering up occasionally to ask, “What in the hell is this? Pumpkin head?” Martin being the genius he was, though, his silky delivery still sends the song across. 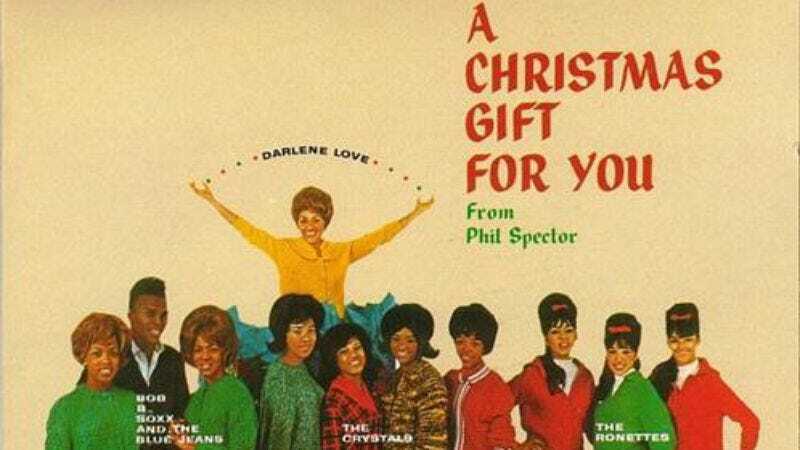 A few years earlier, Darlene Love had already recorded an entirely different take on “Marshmallow World.” Phil Spector’s 1963 Christmas album, featuring a treasure trove of young stars like Love, The Crystals, and The Ronettes, still constitutes one of the best holiday collections around. But Love’s marshmallow song is one that may not have already been beaten into your DNA yet (depending on how many Target commercials you’ve seen this year, as it kicks off the chain’s new holiday campaign). Unlike Dino, Love embraces the crazy, with a boisterous, breathless beat (bolstered by a determined piano line, which Karen O’s version for Target wisely mimics) that implies that she really is enjoying this wintry day, not just slogging through the mania. Going back to Gravity Falls, “Marshmallow World” is likely Mabel Pines’ favorite Christmas carol, as it has her preferred level of frothy, weird sweetness. When Love urges, “The world is your snowball just for a song / Get out, get rolling along,” you’re likely already out the door.